Fundraising provides a vital source of income to help us carry out our valuable work. We're here to help and can offer advice and support to help you make the most of your fundraising and have fun at the same time. A quick and easy way to raise funds whilst you surf the web or shop online. Raise money for us with the click of a mouse. Our pin badge boxes and collection tins are a valuable source of monthly income for us and a great a visible presence on the high street. Place one at venues near you such as your local garden centre, pet shop or hotel, collect the money every few weeks and refill with badges as necessary. We'd love to have more boxes in more sites but really need new volunteers to place boxes! To get involved email fundraising@wkwt.org.uk. Discarding seemingly worthless items such as stamps and empty inkjet cartridges is throwing away money for wildlife! Recycle your unwanted goods to raise funds. The more volunteers we have the more money we can raise! Work with the fundraising team to assist with grant applications and to promote the Trust in local communities and develop fundraising initiatives. Check out our current volunteering opportunities. To find out more about fundraising, please contact us on 024 7630 2912 or email fundraising@wkwt.org.uk. 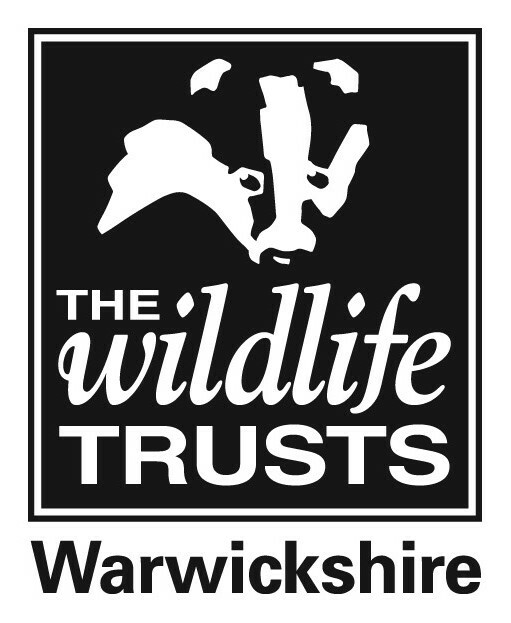 Or write to us at: Fundraising, Warwickshire Wildlife Trust, Brandon Marsh Nature Centre, Brandon Lane, Coventry CV3 3GW. Are you fundraising for us? Let us know! Send your updates and photos to fundraising@wkwt.org.uk. Thanks for everything you do for Warwickshire Wildlife Trust. Hold a competition – this could be anything from a charity football tournament to a guess the number of sweets in a jar competition! Do something entertaining – a quiz night, auction, coffee morning, dinner dance, garden party, fashion show, pamper party, Karaoke night or bingo! Organise a sale – plant sales, car boot sales and car washing are all good ways of raising money. We're here to offer guidance and resources including collection tins and other materials. For more fundraising ideas or advice please contact us on 024 7630 2912 or email fundraising@wkwt.org.uk. Whatever type of event you're holding for us, our top tips will help your fundraising go smoothly from start to finish. Planning - the important first step in organising your event! Think about what you want to do, when and where you want to do it and with who. Set a fundraising target and a budget. Consider what you'll need for your event, in terms of helpers and equipment, and how you're going to publicise the event. Keeping it safe and legal - the legal bits are another very important aspect to consider when holding your event. From complying with health and safety to making sure that you're insured and have any necessary first aid cover, keep your event safe and legal by following our guidelines on the legal bits (below). On the day - after all your planning and organisation prior to the event don't be caught out on the day! View our top tips including how to collect and store money raised from your event below. After the event - congratulate yourself on raising money to protect the county's wildlife and wild places. Thank everyone for taking part, let us know about your fundraising achievements and we'll say a very big thank you to you! See more tips on what to do after your event below.